Extirpated from California (Jepson). Occurs in other western states and Canada (USDA NRCS). Extirpated from California (Jepson). Occurs in other western states and Canada (USDA NRCS). The distribution of S. salsula matches California in Washington, Oregon, Nevada, Idaho, Utah, and Montana according to the Cal-IPC climate map. S. salsula seeds are contaminants in Alfalfa seed and are difficult to separate because they are similar size and weight. Therefore invasiveness is based on economic impacts to crops. DiTomaso, J. M., Kyser G. B., & Weed Research Information Center (2013). 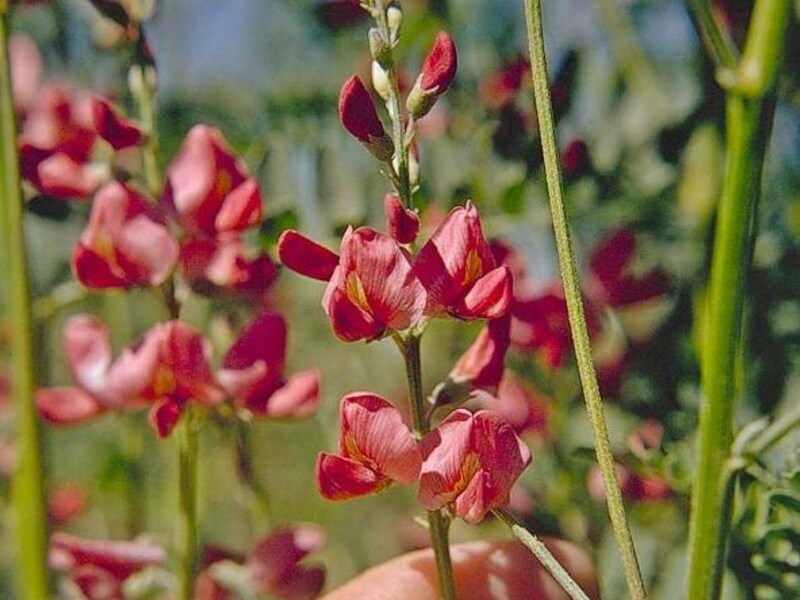 Weed control in natural areas in the Western United States. S. salsula seeds are contaminants in Alfalfa seed and are difficult to separate because they are similar size and weight. Therefore invasiveness is based on economic impacts to crops. The distribution of S. salsula matches California in Washington, Oregon, Nevada, Idaho, Utah, and Montana according to the Cal-IPC climate map. S. salsula is the only species of Sphaerophysa listed in Randall (2012). The distribution of S. salsula is not well documented in its native range, but appears to be predominately similar to California based on the Cal-IPC climate map. It has high potential for establishment along streams, irrigation canals, waste ways, pastures and meadows with a high water table. Has become a problem in some poorly drained marshy, or saline areas of the Western U.S. (DiTomaso 2013). It is possible that it could displace native plants or dominate natural communities in these areas. There is not evidence that S. salsula promotes or changes fire regimes. Unpalatable to humans and livestock (DiTomaso 2013). S. salsula can reach 5 feet in height, but there is no documentation that it forms impenetrable thickets or blocks movement of animals or humans. Reproduces by seed and vegetatively from creeping roots (CDFA). Reproduces by seed and vegetatively from creeping roots. There is no evidence on the number of seeds produced by S. salsula per year. In one study, the germination percentage of S. salsula seed before storage was 30% (Ju-Hong 2012). Ju-Hong, W., Rui-Jun M., & Wen C. (2012). Effects of cold stratification and dry storage at room temperature on seed germination of eight desert species from the Hexi Corridor of China. Chinese Journal of Plant Ecology. 36, 791–801. There is no information on the time it takes from germination for S. salsula to form viable seeds. Flowering occurs from May to July. There is no information on the length of seed production. There is no evidence that S. salsula seeds are dispersed by animals. It is possible that S. salsula seeds could be dispersed by water since "it has high potential for establishment along streams, irrigation canals, waste ways, pastures and meadows with a high water table. Has become a problem in some poorly drained marshy, or saline areas of the Western U.S. (DiTomaso 2013)." The main dispersal mechanism of S. salsula is assumed to be contaminated seed since the seeds are similar in shape and weight to alfalfa seeds (DiTomaso 2013 and CDFA). Reviewed by Ron Vanderhoff and Irina Irvine.